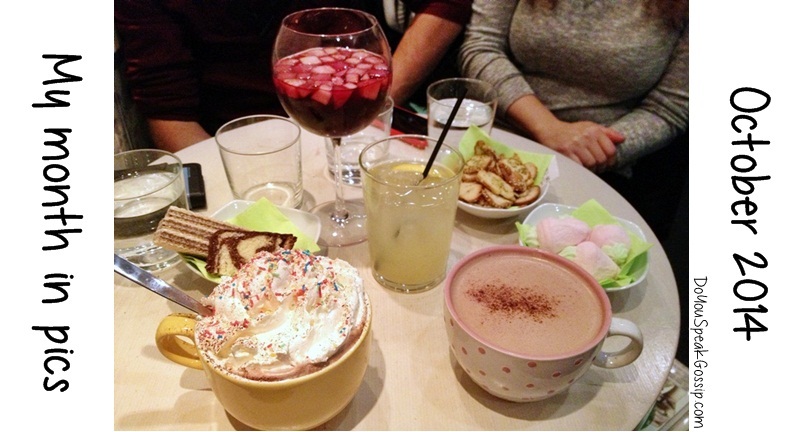 instamoments Archives - Do You Speak Gossip?Do You Speak Gossip? It’s officially the last day of October, This post was supposed to be up yesterday, but even though it was ready to be posted, I mixed up the days, but let’s move on. It’s time to leave the outfit posts aside and do this month’s recap. Outfit posting will continue next month, as usual. In the meantime, let’s take a look at the most important posts of October, and my Instagram pics of the month. 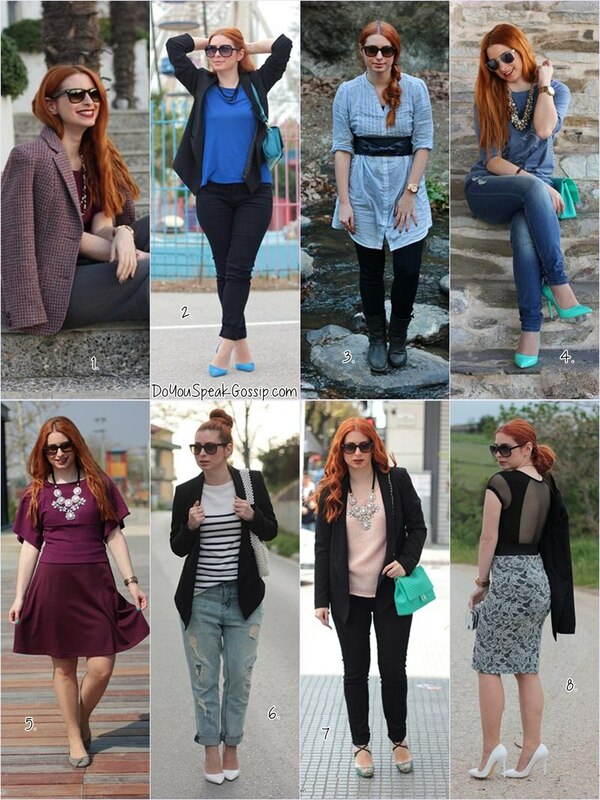 I had many things to share with you this month, and I’m happy to have reached 10 outfits this time. Don’t forget to take part in my giveaway to win a MAC Ruby Woo lipstick!!! December is almost gone… and so is 2013. 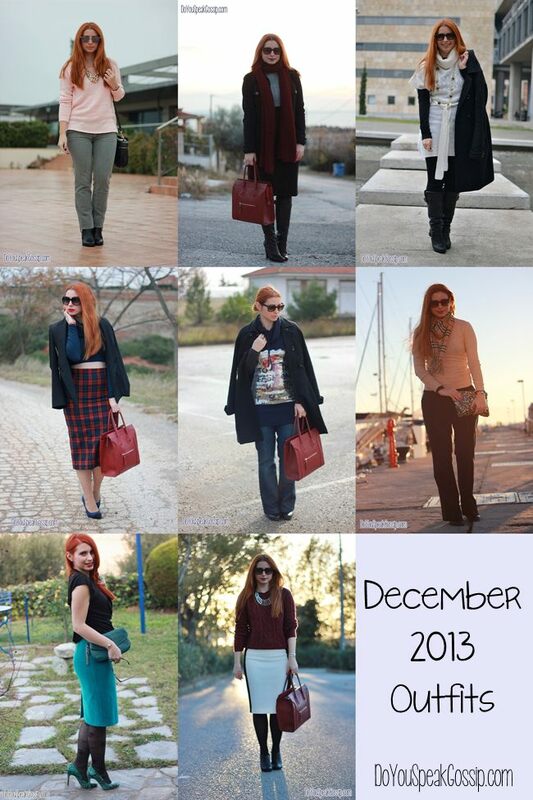 Before we wave 2013 goodbye, let’s see the best moments of December: Outfits of the month, and my insta-moments. Expect a new post tomorrow though, with the best moments of 2013. For now, my December was full and I enjoyed it to the fullest. 1. Light pink sweater, 2. Layering up in style, 3. B&W city look, 4. Cropped top & tartan pencil skirt, 5. C for casual and cold, 6. Sunsets at the marina, 7. Green velvet at the Christmas tea party, 8. Burgundy on B&W.